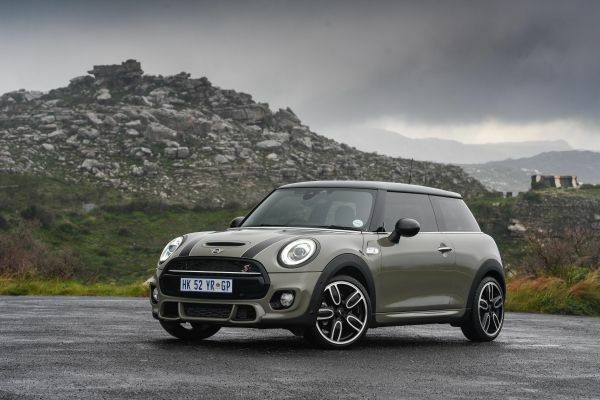 The British premium automobile manufacturer strengthens the progressive character and appeal of its models in the small car segment with a stylishly refined visual appearance and extensive technological advancements. 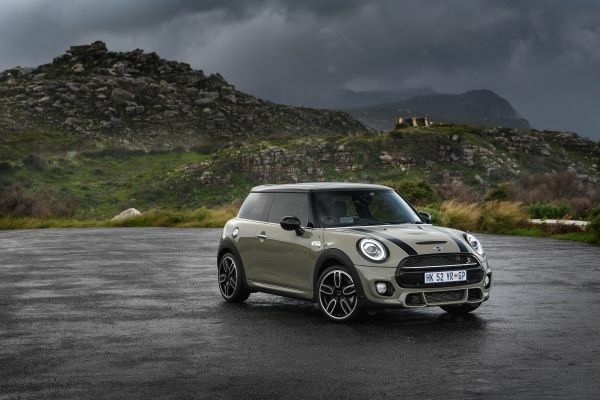 The update for the MINI 3 door, MINI 5 door and MINI Convertible includes fresh design accents, innovations in drive technology, additional customisation options and an expansion of the digital services available as part of MINI Connected. 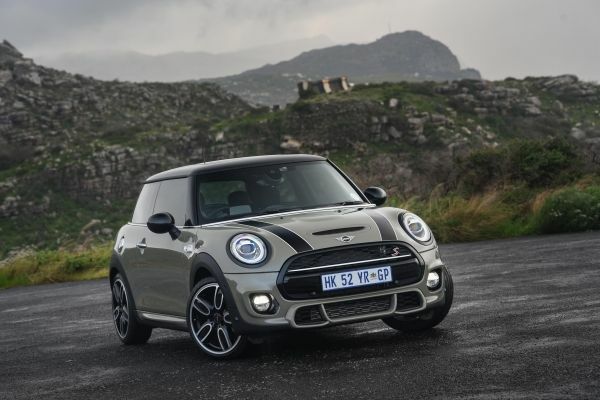 The upgrading of the original product substance in the premium segment of small cars highlights the mature yet distinctive charisma of MINI, which in its current model generation is now available for the first time with three body types for hallmark driving fun in urban traffic. 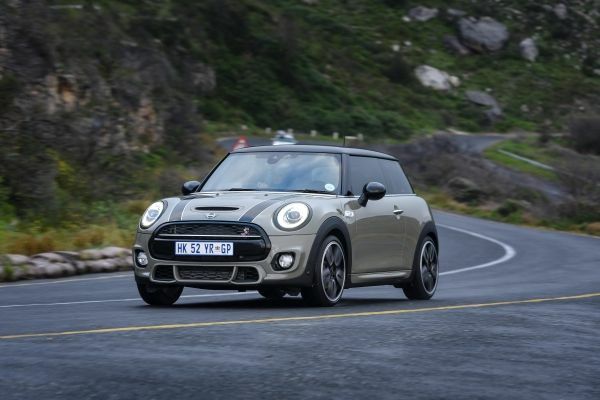 This is due to such elements as the new engine-transmission combinations, an extended range of standard features, newly designed headlights and rear lights, additional body finishes and cutting-edge connectivity technology for convenience and infotainment. 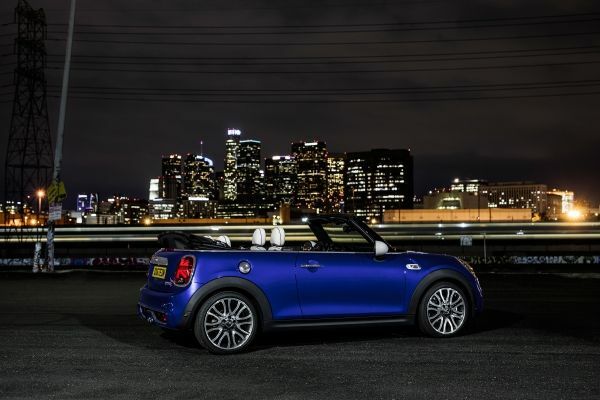 MINI 3 door, MINI 5 door, MINI Convertible: overview of new features. 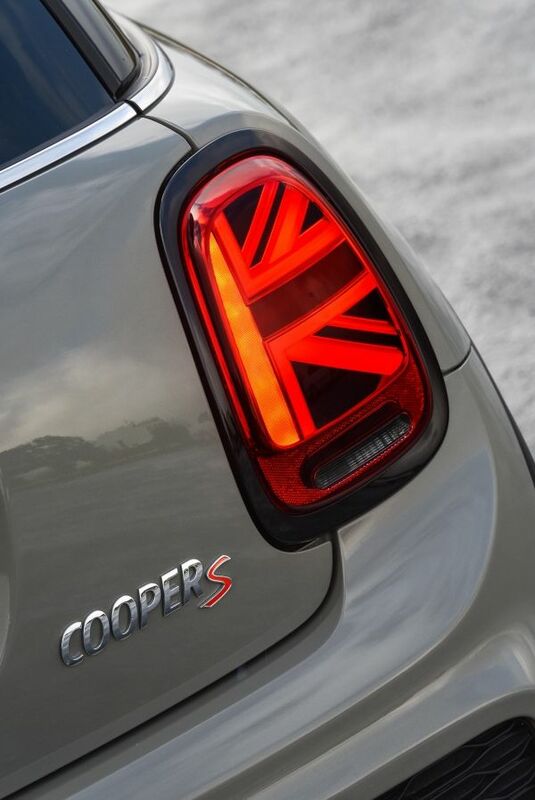 • LED rear lights in Union Jack design. • New MINI logo, new body finishes, Piano Black exterior. • Extended range of leather trim, interior surfaces and Colour Lines. • Unique individualisation with MINI Yours Customised. • Further developed engines with enhanced efficiency as well as increased capacity and torque for MINI One. • 7-speed Steptronic transmission with double clutch, 8-speed Steptronic transmission. 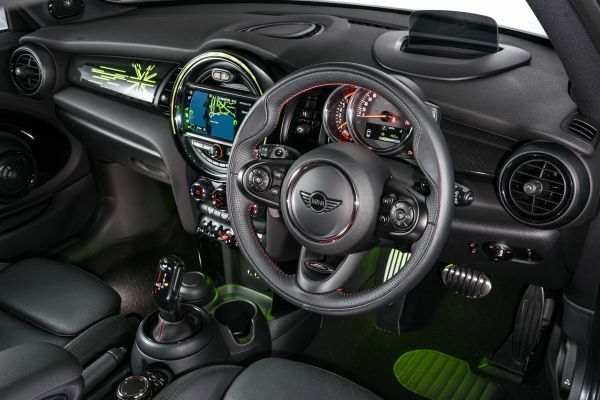 • Multifunction steering wheel and radio with 6.5-inch colour screen, USB and Bluetooth interface as standard. • Optional radio and navigation systems with touchscreen monitor. • Telephony with wireless charging. • MINI logo projection from the exterior mirror on the driver’s side. • MINI Connected and MINI Connected XL with new functions.